For those of you that have been following for a bit you're probably familiar with my "Wardrobe Staple" and my "I'm Shopping For" posts. I was conflicted on what to categorize this as since boyfriend jeans seem to be a wardrobe staple or at least a denim style every girl needs in her arsenal of jeans, but I'm really shopping for a pair! 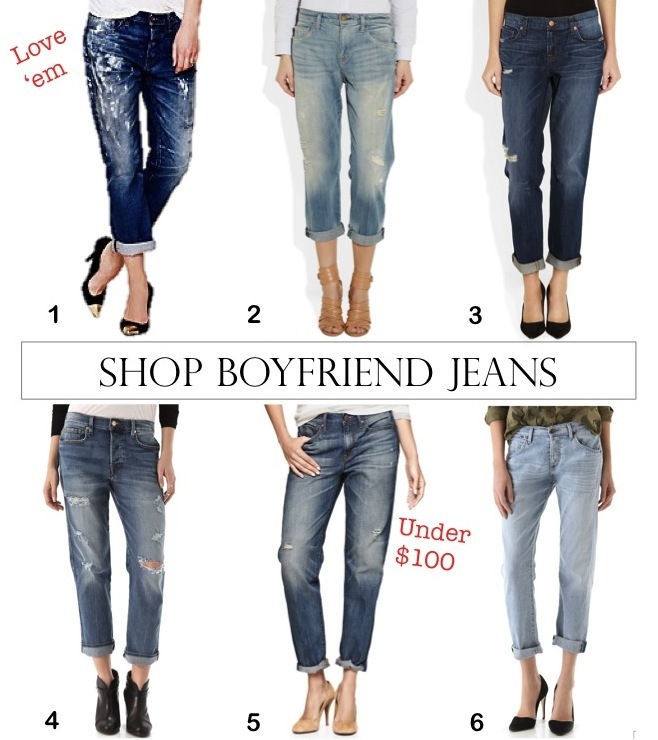 Which boyfriend jeans should I buy?! Above is what I've narrowed down my search to so far, but if you have any suggestions I would love to hear them. I highly recommend the Gap boyfriend jeans!!!!! I am obsessed with them! Cute pics. 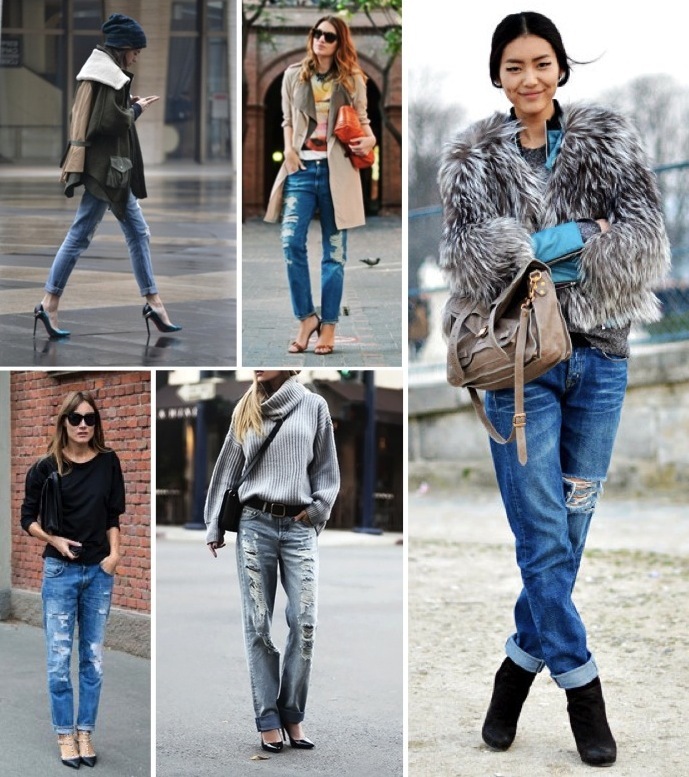 Boyfriend jeans is versatile, it's easy to match and it can be wear by almost everyone, I love them. Gap makes great boyfriend jeans–I have a few pairs and they're so comfy! I love boyfriend jeans...they look so comfy. However idk if I can pull them off! I'm such a fan of a rolled up bf jean, a simple tee, and a structured blazer- the real bf however, hates them on me- and says they are unflattering! I like to get mine at J. Crew! I always love these on other people but I feel like if I tried them on I would hate them! My boyfriend jeans are Levi's brand from JCPenney! I love that they are loose but tight at the cuff around my ankles...it gives it the look of capri's that I feel I can pull off better than slouchy through the entire leg. I love the classic C/E or gap! Useful post for me as i need some more jeans and not sure what style to go with. I want to show off my shoes too! but the lo-rise skinnies always slide down my hips. The easier fit of boyfriend jeans could be just right. I prefer dark wash pair no. 3 but with summer coming, the bleached out looking Citizens pair would be great with white tops! I had the same fear. I bought the gap one's you feature above last summer, and they are my faves!!! I find that tucking in with a belt, helps to negate any of that "fat" nonsense! Totally agreed. I LOVE the look and need to get a pair. Thanks for sharing! New fan and follower here! Hope you can check out decor-eat sometime soon! I love the look of boyfriend jeans, too. I like pairs 3 and 5 -- lightly distressed, but not over the top. I still don't own a pair due to the "fat phobia" but I think I'm going to set aside my fears and take the plunge this spring! Very good and usable post. Thank's to share your experience with us. I will try to remember these tips in my blog commenting task. 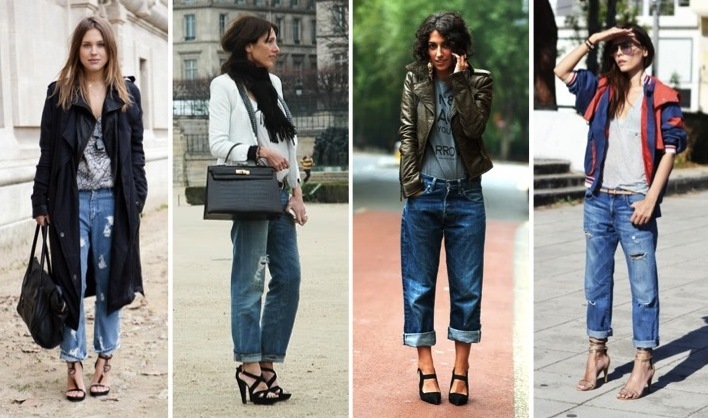 i love to wear boyfriend jeans with stylish high heels..!! in each and every style it makes our style very trendy and versatile..